Wow! 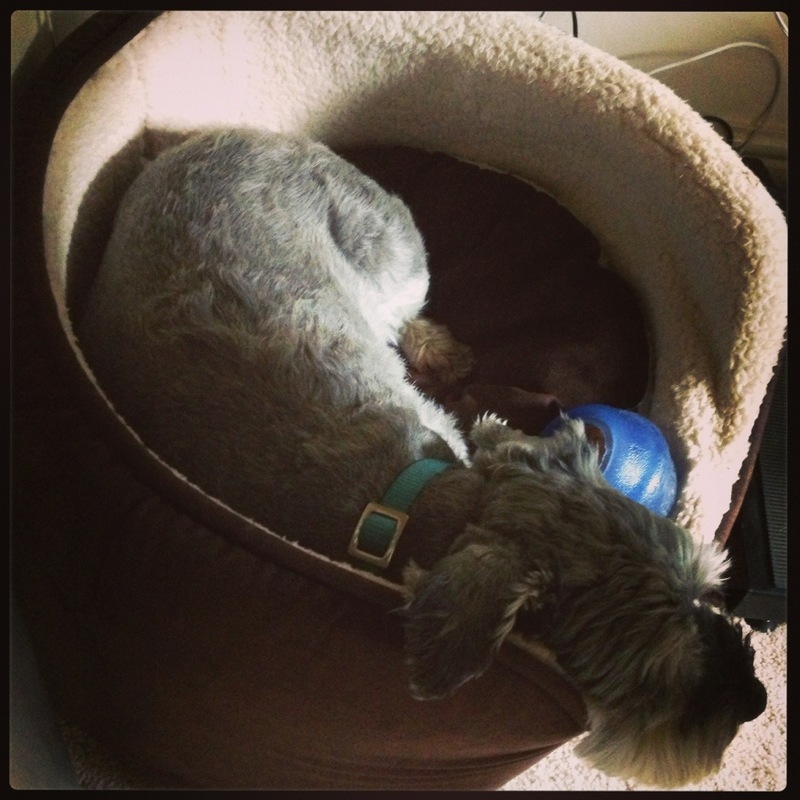 The Little Bear Dog Blog is (drumroll please) NINE years young! How can that possibly be? But yep, sure enough, my very first ‘Hello World’ post is dated 21 February 2010 which means Little Bear was just two and a half when I started. Happy belated birthday little blog! While I’ve not been the most consistent blogger over the years, I love that so much of our journey has been recorded. Living and loving reactive dogs is a massive challenge and human nature means that we’re great at remembering the bad stuff, but not so great at remembering the good things. In the early days I was definitely on the quest for the ‘cure’ – the training method, diet, supplement, harness, magic talisman (I added that for effect, but I got really close to being tempted! ), that would transform my highly strung super-sensitive nutcase into the chilled dog I had so wanted. It took me a long time and a lot of learning to be okay with the fact that he would never be a ‘take-anywhere dog’, not because I’d ‘failed’ in some way in not finding the holy grail of dog behaviour modification or scrimped on his training hours or socialisation, but because that’s just not how he’s wired. I certainly made plenty of mistakes along the way, but looking back, I think we’ve done okay. Suzanne, a very dear friend of mine who, thanks to her own journey with her own super-reactive dog is now a brilliant trainer, joined us in the woods for a walk the other week with her chilled Cockapoo Barney. Driving home from work the other evening, I saw what looked to me to be ‘the four ages of dog.’ Glacially-slow temporary traffic lights meant that for once I had the time to watch the parade. It was a beautiful summer evening, one of the few we’ve had this year in the UK, and it was prime ‘after work but just before dinner’ dog walking time. With two reactive dogs, we learned a long time ago to avoid those peak times but it’s always lovely to see the neighbourhood dogs out enjoying their evening stroll. Alternatively bounding around in circles, chewing its lead and then sitting down and refusing to budge, was a golden Labrador puppy. Behind them, I saw a young husky towing the beefy-looking chap on the other end of the lead in his wake. Then there was my neighbour with her cool as a cucumber Pointer who was loping at her side and stopping every now and again to sniff and lift his leg. But then suddenly there was a lump in my throat, because the next dog I saw was a very elderly chocolate Labrador. Unlike the other dogs, he trailed about 10 ft behind his people, who were so deep in conversation that they seemed almost to have forgotten why they were out. His tongue lolled out of his grey muzzle, his gait bore the tell-tale signs of arthritis and he looked like every step was a decision. When he stopped, sometimes to sniff but other times just it seemed to rest, his people turned and called him on. He’d break into an awkward jog to join them but within seconds they had outpaced him again and he was left watching their backs and then hurrying once again to catch up. We spend so long teaching our puppies and young dogs to walk to heel – to walk with us. I think the very least we can do in their dotage is to remain by their sides – just as they did for us. This is Little Bear hiding under my desk thanks to a raging summer storm. He’s a shaking, panting ball of stress & the worst thing is there’s not much I can do to help him. He’s had some KalmAid and I’ve done some T-Touch but now all we can do is ride it out until the storm passes. When he was a puppy the old trainer told me to ignore “such silly behaviour” (her words not mine) to avoid reinforcing it. This may work for jumping up, but the idea that ignoring an animal in obvious distress would somehow help them deal with their fear is not just unkind it’s misguided. LB is in no state to think or learn as he quivers and shakes under my desk at the loud claps of thunder that to a dogs sensitive ears must be unbearable. So the only learning he’ll be doing today is that there’s a safe and comforting lap when he needs one, legs to hide behind and soft words to do what little they can to reassure him. With the Christmas holidays around the corner, I’m counting down the days to a week off. In my head, I’m imagining something straight out of a John Lewis ad. All Country Living magazine festive with everyone laughing around an elegantly dressed table laden with fantastic food, fine china and posh crackers. I’m enough of a realist to accept that it will be more like something out of Fawlty Towers, but I’m a relentless optimist too. Somehow, my deep desire for the fantasy Christmas has blocked out the fact that it will most likely be a few stressful days of last minute shopping, wrapping, cooking, cleaning, bed making and entertaining various house guests sandwiched between two 300 mile round trips to pick up and drop off family members. Sad though it is to admit, Christmas is stressful and if we’re stressed, you can bet our dogs will be too. Especially fearful dogs like Annie who take comfort in the certainty wrought through routine and anxious dogs like Little Bear who can quickly get hyper. Having lots of visitors can be exciting, but it can also be over-stimulating for some dogs and ours are no exception. In our eagerness to make sure everyone has a full glass and a plate of something tasty, we can too easily overlook the subtle signs of stress from our dogs. We’re taking radical action this year. We’re sacrificing the comfort of guests for the comfort of our dogs. We’re donating one of our sofas to a charity so that the dogs can have their beloved crates back. Having a safe space to retreat to is really important for dogs all year round, but especially at Christmas. I’ll also be stocking up on Adaptil refills for the diffuser and there will be some stuffed Kongs and deer antlers on the treat menu to give them something to focus on while we’re playing hosts. It’s no magic bullet, but knowing that the dogs are happy will at least be one less thing for me to stress about. So, here’s the story about making the neighbours laugh. Little Bear has an annoying habit of standing stock still and refusing to move when a) you put any kind of dog coat on him and b) when he feels like it. Now the coat issue I’ve come to terms with. I don’t believe in ‘dog fashion’ – they’re not toys or accessories so if you want to dress something up, buy a Barbie. I only attempted to get a coat on him because as a puppy he refused to go out in the rain. I’ve stood in the garden before now with an umberalla over him for fear that his bladder would burst before it either stopped raining or he’d get desperate enough to get wet. Being a delicate little soul a coat seemed like a practical alternative to a shivering, pathetic looking little scrap of a thing huddled on the sofa under five blankets after a trot around the block and a light drizzle. Little Bear had other ideas of course. Coat goes on. Dog freezes. Coat comes off – dog regains motor controls and resumes doing whatever he was doing before the evil dog coat immobilized him. I’ve tried waiting him out but he has an amazing ability for stillness when he puts his mind to it. For the record I’ve tried several types of coat. I even made him one thinking that maybe the weight of a quilted coat was the culprit, but even that received short shrift. He did manage to walk most of the way around the block in it – mostly sideways though and with ridiculous amounts of encouragement and a handful of dog biscuits which meant it took twice as long and we all got twice as wet. Half way around, presumably in a misguided attempt to get it off or mount a new kind of silent protest, he spent a good three minutes in someone’s front garden doing what looked like a strange doggie yoga pose. (I can feel a Yogi Bear post brewing). So we’ve pretty much abandoned the idea. But the ‘I’ve stopped because I feel like it’ is another matter. The headcollar is still working wonders, but not wanting to put undue pressure on his face, it does mean that I’m relying on voice commands. This in itself is quite a revelation as it’s only when you decide to use a different method that you realise how much you relied on that physical connection down the lead. In my last post I mentioned Emma Parsons’ book ‘Click to Calm’. In it she advocates the use of a head collar such as a Gentle Leader or Halti. Now as Little Bear is on the sensitive side, I’ve learned not to change too many things at any one time for fear of unsettling him. But, as he hates his harness with a passion and chokes himself if walked on a collar, I decided it was worth investigating. After a root around on the internet I called our trusty dog walker Louisa (aka Auntie Lou) to ask for some pro advice and she raved about them. Suitably convinced, I decided to give it a go. Now I’m as keen on new things as the next person, but with a day job in marketing I’m also far more cynical than is maybe healthy when it comes to product claims. ‘Unique patented designed prefered by many leading trainers, vets and behaviourists around the world.’ Hmm….. ‘Results occur in minutes – not weeks.’ Ha – sure they do – are they made by fairies too? Back at home, I decide that we’ll start with some positive reinforcement. We get off to a shaky start as LB shoots off at the sound of me opening the packet – then decides that tiny bits of cheddar in return for touching first the packet and then the collar are worth the trade. Resigning myself to not being able to return the head collar if it didn’t work due to odour issues, I pop it in his treat bag and give it a shake just to make it extra smelly. This seems to have the desired effect because once I’ve finished fiddling with the adjusters and put it down to read the instruction book again, LB decides to lay with his head on the collar and give it the occasional lick. Good start – and something unheard of with his rather smart but hated harness. I pop it on and off him a few times that afternoon. Each time is accompanied by extra nice treats and for the last and longest trial he gets to keep it on for the 3 minutes flat it takes him to polish off a chew. After umming and ahhing over whether to work on this for a few days longer before venturing out in it, I decide to give it a go. If he hates it once we’re out, I can pop him on his collar and build up slowly over the week. Once out of the front door he decides that he can’t walk a step. This is his usual reaction to his harness or any type of dog coat. He becomes super-glued to the floor and refuses to budge until the offending item is removed – or in the case of the harness, he gets a better offer. Silent protest over (he decides that playing with his tennis ball is more fun) off we trot on our evening walk. So this is where I eat my cynics hat. We walk around the block, through the wood and around the dog field without the lead becoming taught once. He pawed at the collar twice within the first 5 minutes of the walk but then left it completely alone. We play ball, practice his recall and then trot home without incident or any tension what-so-ever on the lead. In fact, he seems incredibly calm and totally unphased by it. Back home he sits as usual to have his lead unclipped and as I slide the head collar off his nose, he gives it what I hope is a lick of approval. For pity’s sake, cuddle your dog! A glimmer of hope from the Manchester Tragedy? Why are vets so clueless about food? Blog lesson: If you don’t have time to write…upload cute pictures! Is your dog a sensitive soul?